From its sporty styling to its driver-assistive Toyota Safety Sense™ features, the Toyota Camry is a ride the whole family will enjoy! Boasting an innovative moonroof, impressive interior dimensions that ensure the comfort of your passengers and front knee air bags, the Toyota Corolla delivers! 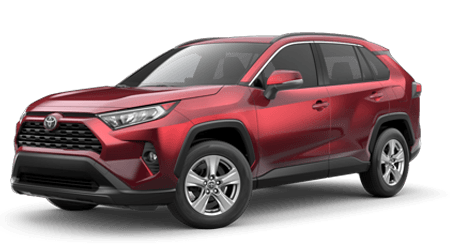 The Toyota RAV4 commands attention, what with its 5-spoke black alloy wheels, automatic high beams and Top Safety Pick rating from the IIHS. 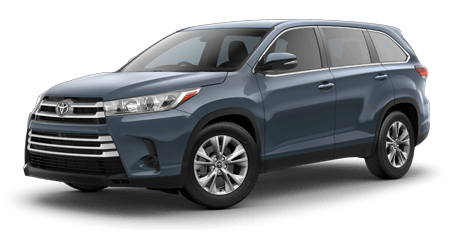 The Toyota Highlander is a full-size SUV built for full-size adventure. Pack up your essentials and explore the possibilities. With six exciting models to choose from, you're sure to find the new Toyota to excite your drive. The 3.5-liter V6 engine mated with an 8-speed Automatic Transmission delivers the performance and smooth ride you're searching for. 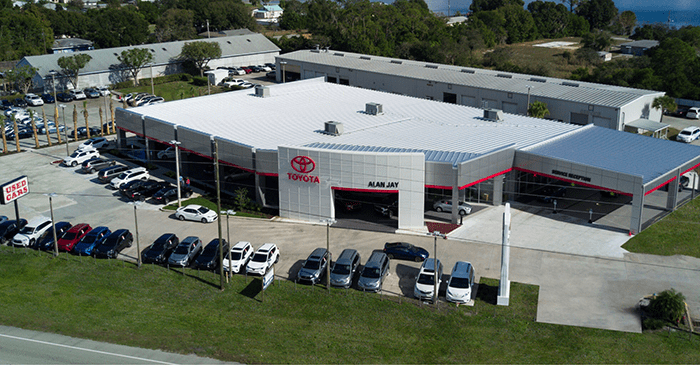 Team up with a new and used Toyota dealership that will not only meet but exceed your expectations, head to Alan Jay Toyota in Sebring, Florida now! Our professional sales department team will tailor a new Camry shopping plan to complement your needs or will help you find all the genuine parts you need for at-home maintenance on your Corolla. As your local Toyota dealer, we're here to address all your auto trade-in, finance, purchase, and service needs, so don't hesitate to make your way over from Avon Park to shop our dealership today! We offer 3-Day, no-risk Exchange Program for used vehicles and complimentary car delivery. 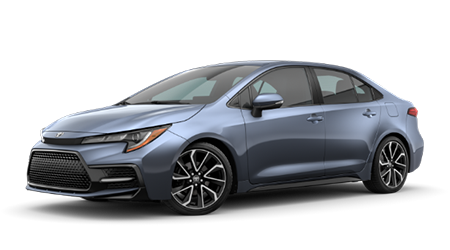 While our sales team reviews all the Toyota Safety Sense™-equipped options that are available, our finance center will explore the Toyota loan packages you can put to use for a Prius purchase! With help from the professional technicians over in our Toyota service department, drivers can keep their Toyota RAV4 up to factory standards and running smoothly. 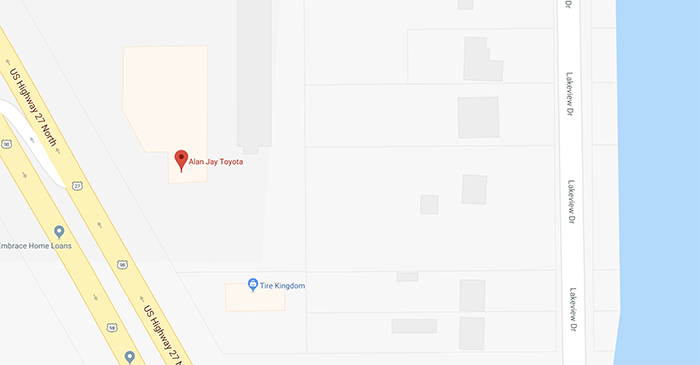 There are so many reasons to shop our new and used Toyota dealership near Lake Wales, Florida, and we invite you to learn more about the Alan Jay Way! Contact us at (863) 313-1077. 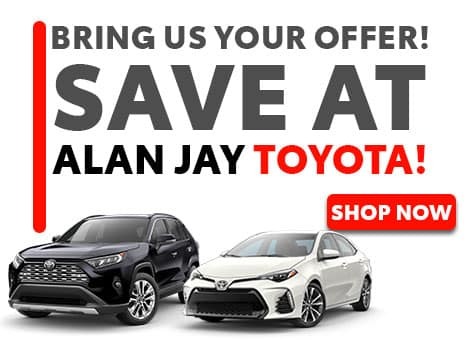 End your search for new cars for sale near Lakeland, Florida, visit Alan Jay Toyota in Sebring now! Our new Toyota models are competitively priced and come standard with ToyotaCare so that you can give your ride the professional care that it deserves. Explore all that a new Toyota Tacoma has to offer, or ask about the driver-assistive features an intuitively designed Sienna boasts. We value our customers and their satisfaction and look forward to treating you to the stress-free Toyota acquisition process that you deserve! Here at our new and used Toyota dealership that serves Avon Park, FL drivers, we're not only committed to finding the quality vehicle that complements your needs, but we'll help you finance it as well! We offer a variety of professional loan services that suit drivers of all financial backgrounds, including those that are in sub-prime credit situations, so don't hesitate to submit a Toyota loan application right here on our interactive website. Our Alan Jay Toyota finance center looks forward to helping with your Tundra purchase soon! If you're looking for genuine Toyota parts for sale near Lake Wales, Florida, you're in luck! Here at Alan Jay Toyota in Sebring, we offer an on-site parts center that includes both genuine parts and stylish accessories. You can place an Original Equipment Manufacturer part order online with help from our easy-to-navigate website, or you can simply drop by our dealership for a more personalized experience. We keep our prices competitive and offer practical parts specials to ensure all drivers in the area can keep their Toyota authentic! Thanks to our rigorously inspected used car inventory and our three-day, no risk exchange policy, Lake Wales, Florida pre-owned car shoppers can enjoy peace of mind! Our personable, locally owned and operated dealership has a multitude of used cars for sale, including Certified Pre-Owned Toyota options so that all drivers in the area can find a vehicle that satisfies their search requirements with ease. We not only sell used cars, but we buy them as well, so don't hesitate to get in touch with Alan Jay Toyota today! From quick windshield wiper blade replacements to major transmission work, our Toyota service department in Sebring, Florida is here for you! We offer many service amenities to take advantage of, including complimentary car washes, shuttle services and a welcoming customer lounge, so feel free to book your next oil and filter change via our website today. Our professional Toyota technicians will complete all maintenance requests in a timely manner, being sure to go over any service specials you can put to use! Thanks to our secure, interactive Alan Jay Toyota website, drivers in the Avon Park, Lakeland and Lakes Wales, Florida area can apply for auto loans, browse new vehicles or schedule services all from the comfort of their home. Our team members look forward to assisting with all your Toyota sales, finance and service needs, so don't hesitate to contact us! We look forward to welcoming you to our convenient Sebring location when you're ready to enjoy a more customized auto experience.